We appreciate you joining us for another addition of our chronic obstructive pulmonary disease (COPD) awareness month series, November will be dedicated to spreading knowledge about the 3rd leading cause of death in the United States. Today's topic of discussion will be covering what patients can do when they are having a difficulty time handling specific symptoms. The goal is to educate patients so they can apply these tips into their daily life to drastically improve their overall quality of life. Whether you have been diagnosed recently or have had COPD for 10+ years, you may begin to notice certain symptoms are more prevalent than others depending on what you are doing. The struggles to deal with your symptoms do not need to consume every aspect of your day and life, check out the tips below for combating many of your difficult COPD symptoms. Prepare meals you know you will enjoy, healthy food doesn't have to be boring! Instead of pushing a cart throughout the store, opt to use a motorized scooter, which are typically provided in store. If monetarily possible you can also purchase one of your own that you can take with you wherever you go! 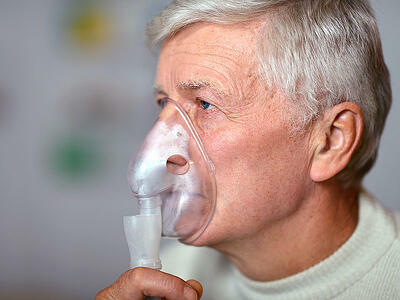 What COPD symptoms bother you the most? What do you do that helps reduce the effects these symptoms have on your day to day life? Comment below or share your tips with us on Facebook to help fellow patients.